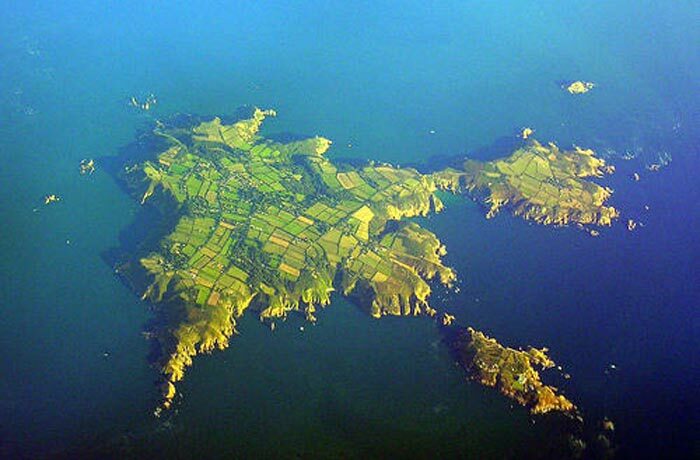 An aerial photo of Sark, Channel Islands. Photo by Peter Capper, used under Creative Commons license. The island has a population of about 650 and attracts up to 40,000 visitors annually. All cars and vehicles other than tractors are banned and people travel by bike or on foot. There are no public streetlights, which is why Sark is the perfect environment for viewing celestial bodies of the night sky. As a psychotherapist who has also studied ecopsychology, I have a longstanding interest in how encounters with nature (including the sky) may positively impact wellbeing and even lead to transformation. When out at night on Sark, enveloped by its very dark sky, I regularly felt this effect and became curious if others have had similar experiences. The fields of ecopsychology and environmental psychology look at how encounters with nature may be beneficial and transformative but usually the focus is on “green”/grounded nature rather than encounters with the sky. In fact, it’s not often that the sky is even considered part of nature. IDA however states the sky is, “one half of the entire planet’s natural environment.” Although dark sky supporters often claim dark skies enhance wellbeing, there is a little research to support these claims. Much of the research focuses instead on the negative impacts of light pollution on human and animal health and behaviour. 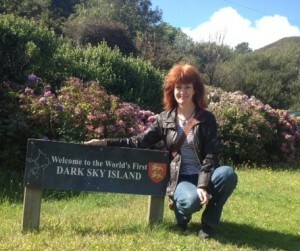 This is why in 2014, I chose to study the role the night sky plays in the lives of Sark residents as part of my M.A. work in Cultural Astronomy and Astrology at the University of Wales Trinity Saint David. My research uses the qualitative method of intuitive inquiry, which was originally developed by William Braud and Rosemarie Anderson to study transformative experiences. I carried out an extensive literature review to consider the themes as they appear in relevant scholarly literature in the fields of ecopsychology, health and environmental psychology, and cultural astronomy. In March 2014, I conducted a series of individual, semi-structured interviews and a focus group, and a number of other participants completed interview questions online. In addition, I kept a “reflexive journal” during the research process of my observations, dreams and significant events. There’s a widespread belief that observing the night sky results in positive (and sometimes transformative) feelings. According to one resident, “‘This huge mass of stars in the sky, it makes you feel a lot better … you look up and you look out … it just draws you out, you concentrate on something else. This research begins to address the “missing sky factor” within the fields of ecopsychology and health and environmental psychology. These findings can be used to strengthen the claims of the dark skies movement that dark night skies can have a positive impact on wellbeing.